This guy was sitting on a nearby roof and periodically flying down to catch a meal. The tips of the wings are a bit blurry, next time I'll use 1/1000th shutter. Welcome to NatureScapes. 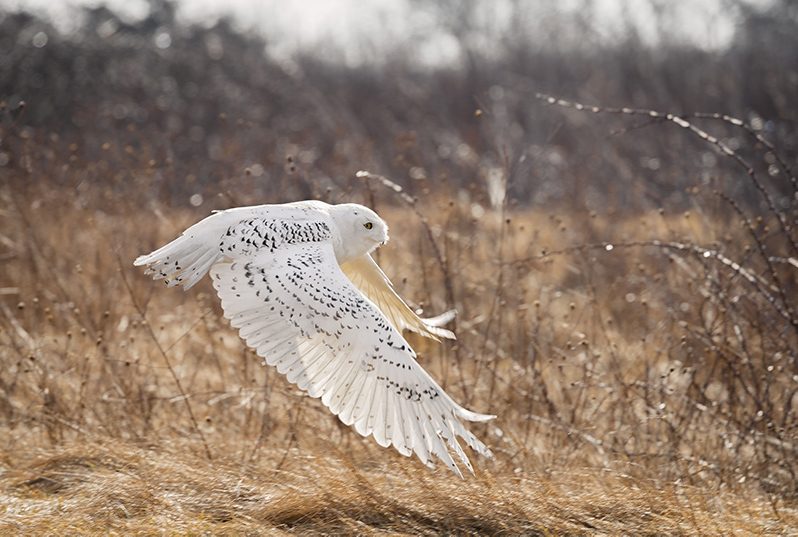 Beautiful shot of this Snowy Owl in flight. I like that you captured the wings on the down stroke. The backlight coming through the wing adds interest, and the detail looks very good. Welcome! A wonderful flight image in a natural background. I'm not bothered by the slight blur- it indicates motion. Looking forward to more from you.